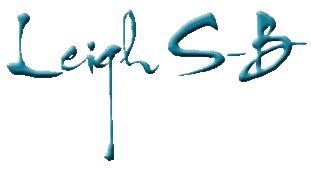 It's the 3rd day already of my 3rd annual Poe Appreciation Day Blog Hop which I'm hosting on my LeighSBDesigns Inspiration Blog. The Blog Hop roll is below, just click on all the thumbnails to Hop all the blogs and enjoy the show. Want to play? It's not too late to join the hop, click on the very 1st entry to go to my Day 1 post that explains what the Hop is all about and how you can play. There's 2 prizes up for grabs so if you love Poe then don't delay and come join the party, the Hop ends on Jan 23 at 5 to midnight pacific time! 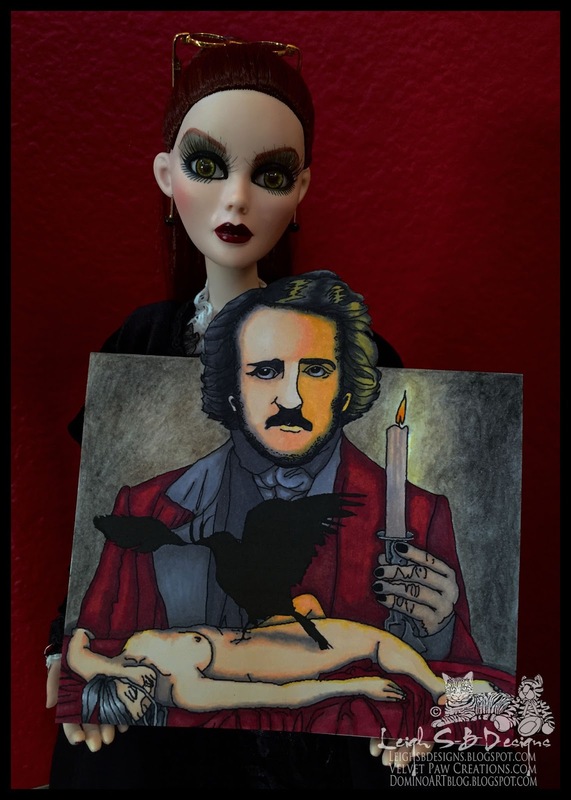 I'm sharing some of my all time favorite past Poe projects on this blog for the Hop and up today is this card featuring 2 of IkesART Poe digis. My project was inspired by Poe's poem, "Spirits of the Dead". Shall overshadow thee: be still." E.A. Poe "Spirits of the Dead"
I combined the image of the women with the raven "Poe's Death Bed" with "Candle Poe"
in Photoshop CS6 and printed out the image onto Neenah Solar White cardstock. To create the fancy fold card I scored where I wanted the fold on either side of Poe's head and then fussy cut the portion that was above the scored line with an Xacto knife. Once his head was free I folded the card in half. I coloured the images with Copic markers and the background was done with Derwent Pastel pencils and blended with a Dove blender pen. Gotcha on the technique.It looks like Evangeline's spirit has risen above him. Alas the links to the stamps doesn't work. Yeah, I typed this post up on my iPad last night while in bed & copied the info with the links from my old post so those were for your old website Ike, I'll be updating them when I get to my computer today. Thanks Ike! I'll be updating the links today, those were copied from my old post so link to your old website. What a poem and ditto to the make..breathtaking art my friend.